It was confidentially known that Mr. Wardman last Summer took the question of a new embassy home up with the authorities of the government over there. 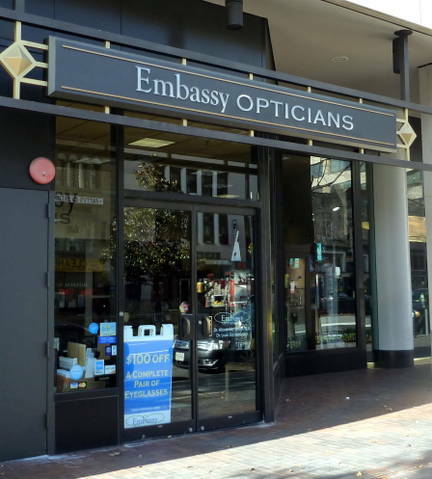 It was understood that while the British officials felt the need of a new embassy building in the United States for some time, they desired first to dispose of the old property before undertaking to build a new structure. 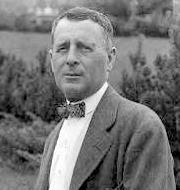 Following Mr. Wardman’s visit to England, Sir Lionel Erle [sic]; secretary of public works for the British government paid a visit to Washington for the purpose of looking at a number of proposed sites, Mr. Wardman at that time was in conference with Sir Lionel. The Wardman Construction Co. will erect a new building and it is expected that it will be completed within two years. 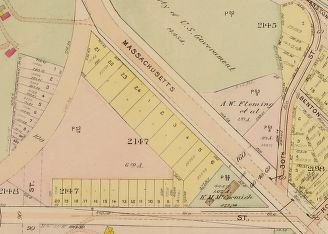 Wardman, already in possession of some of the plots surrounding his favored location for the Embassy, would not have shied away from carving up such an odd shape in the Massachusetts Avenue Heights area. The developer, with his middle-class housing designs, capitalized early in his career on building on the small lots in unusually shaped parcels created by L’Enfant’s diagonal avenues intersecting circles and squares in the overall grid plan of the city. His numerous row houses in such tracts found in the quadrants of the city helped make his fortune. 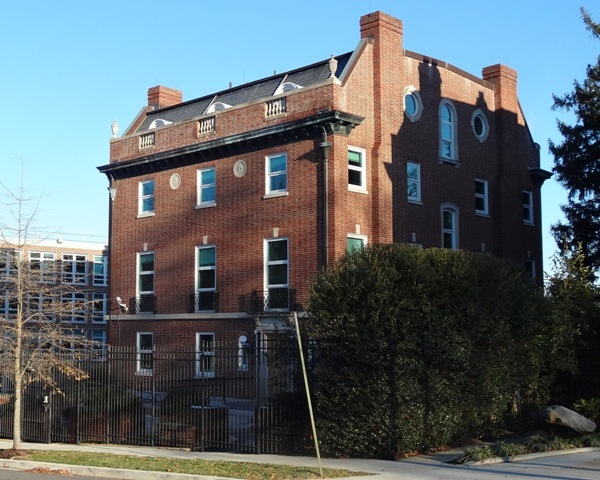 Wardman bought the old Embassy on Connecticut Avenue below Dupont Circle from the British Government, planning to immediately raze it for a new building. However, he let the British staff stay there rent-free when construction of the new Embassy was delayed, even though he still owed the Office of Works $300,000 when the old Embassy was vacated. He also put in by far the lowest bid for the construction, which he won, despite warnings and protests that he was anti-union (Wardman had his own office of architects and engineers, full-time carpenters and lumber mills) and was rumored to do inferior work. In 1930, following the start of the Great Depression and with the loss of his $30 million fortune, he was no longer paying subcontractors on the Embassy project, but he was ever loyal to his homeland. When his eight hotels were seized (including the elegant Carlton where Lutyens stayed after his initial visit), the new management found dozens of lower-level British diplomats living splendidly at little or no rent. In 1931 he announced plans for a twelve-story office building, to be known as the Embassy Building, on the site of the former Embassy (he had planned earlier on a medical center, but it was eventually used as the offices of the International Association of Machinists). While attempting to start again, Wardman focused on middle-class housing on land that had been in his wife’s name. Although hardly socially progressive, he was innovative with his apartment buildings (he was the first Washington builder to allow children to live in them, often constructing playgrounds) and his structures still are known for solid construction and quality of materials. 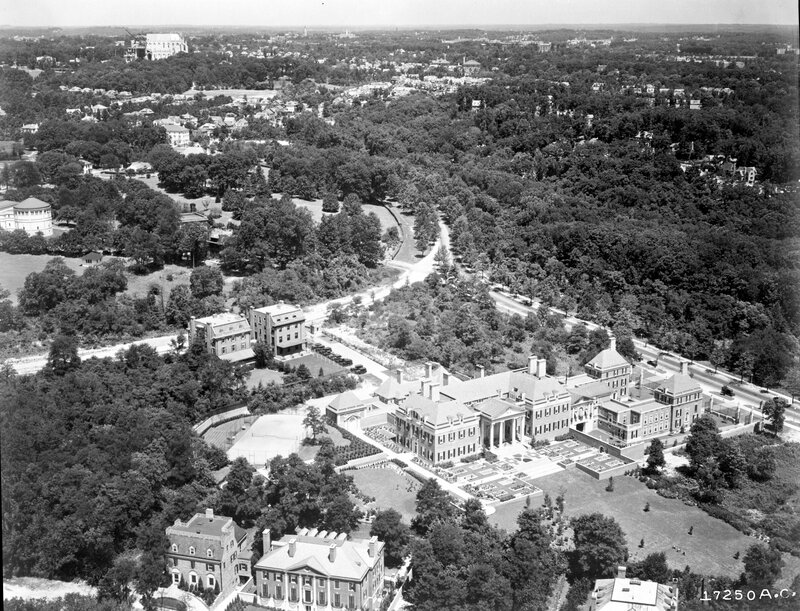 As architectural historian James Goode points out, Wardman’s “reputation was so solid among members of the business community that he was able to resume business operations and build more than a thousand small houses during the Depression.” And further: “Much of the present physical appearance of Washington is due to this remarkable, self-made man, whose style and accomplishments have never been equaled in Washington architecture.” (Although, in the inauspicious year of 1939, most of the ceilings of the Ambassador’s Residence were found be unsafe after one had fallen in). Much of the social history of the town, which he helped modernize from one of boarding rooms with the housing shortages after the Civil War and the Great War, can be told through the wide range of Wardman’s buildings. 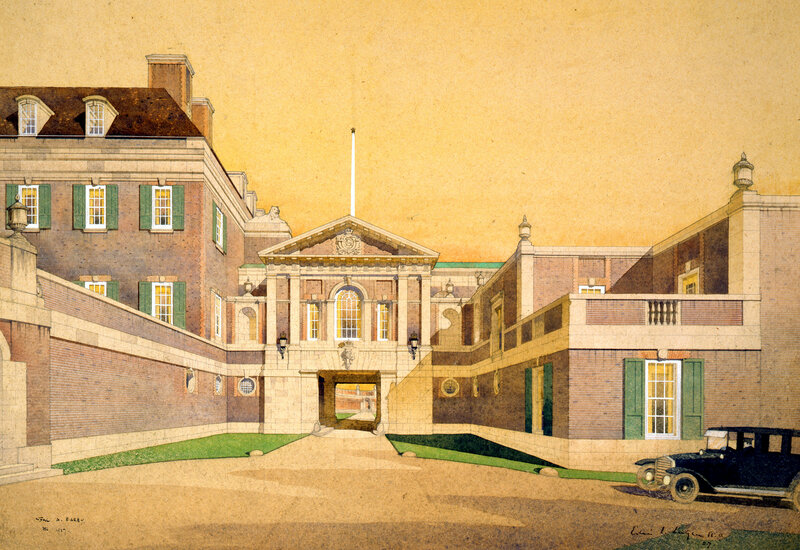 Without his financial sacrifices, one wonders if Lutyens’s design, having already been altered to suit the constraints imposed by the Treasury’s frugality, due to the huge war debt owed to the United States, would be anything like the one eventually built. Wardman died of cancer in 1938 in his home—the one he moved into after having to sell 19 Observatory Circle—the drab 2433 Massachusetts Avenue (now the Marshall Islands Embassy), about a half mile from his last great project, the British Embassy. Wardman built seven apartment buildings on the south side of R Street between 14th and 15th Streets, NW, on which he had letters (one per building) spelling out “WARDMAN.” From the appearance of 19 and 27 Observatory Circle, Wardman and Brooke probably planned for a series of town houses to ring that part of the road, until the Depression stopped such projects. 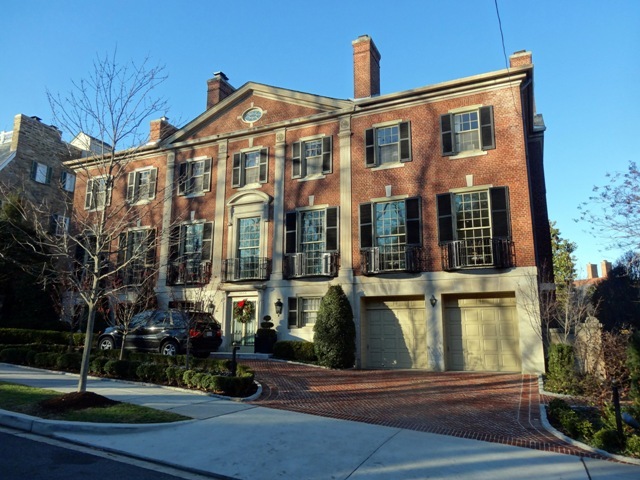 After Wardman had to move out of his home at 19 Observatory Circle, it remained in private hands, having been purchased by Mrs. Oscar Underwood in November 1929.
to British Embassy here.” Further detailing the recovering high-end real estate market, the article points out the sale of 3055 Whitehaven St. “formerly known as W street,” “overlooking and adjoining the gardens of the British Embassy. Lady Lindsay wrote to her former neighbor, Congresswoman Isabella Greenway on 30 December 1938: “My present predicament in this house is indescribable. All the ceilings are condemned as immediately dangerous to both life and property and everything is being moved out as rapidly as moving men can handle it. Irene is now sleeping in one of the servant’s rooms, and we are all well on the road to insanity. But the Chancery and the British Government are having holidays, and the Ambassador is buried in Dorset. We have no way of reaching anyone until next week, and since they have listened to none of our cries in the past I have very little hope for the future.” (Arizona Historical Society; MS 311f: 1826, Box 136 ISG Personal Correspondence). Bernstein, Carl. “The Washington Wardman built,” The Washington Post, 16 February 1969, p. 259. 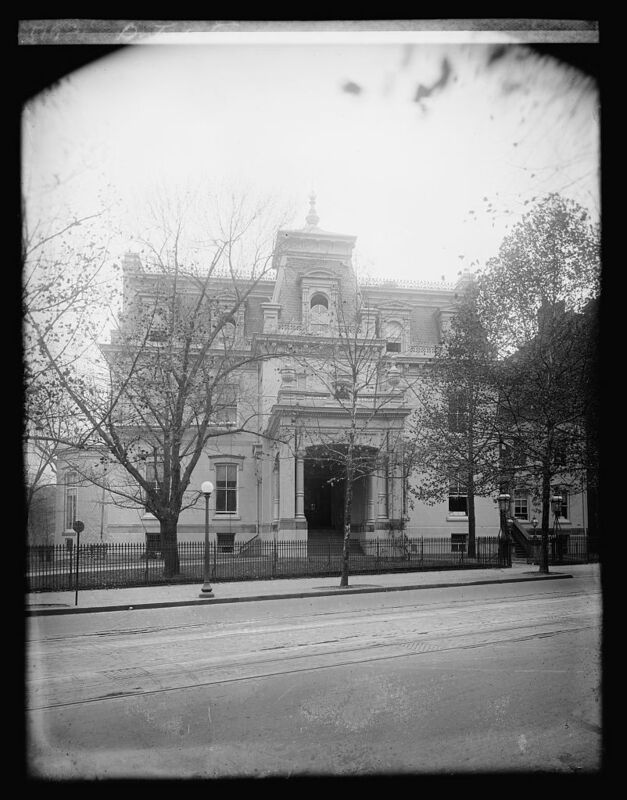 Goode, James M. Best addresses: a century of Washington’s distinguished apartment houses. Washington, D.C.: Smithsonian Books, 1988. _____. Capital losses: a cultural history of Washington’s destroyed buildings. Washington, D.C.: Smithsonian Institution Press, 1979. Hickman, Caroline Mesrobian and Sally Lichtenstein Berk. “Harry Wardman’s row house development in early twentieth-century Washington,” in Housing Washington: two centuries of residential development and planning in the National Capital area. Edited by Richard Longstreth. Chicago: The Center for American Places at Columbia College, 2010.